Yeah it would! Often when cleaning the house or doing some other chores, I like just to just watch AI's fight. I have no idea why I like it - I just do! The experience would be far more fantastic with 8 of them rather than just 6 or 7. I play the standard version and won't be purchasing Remastered - I can't stand the RM graphics!!! 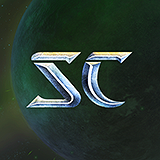 Touch-ups would have been nice, but as far as I'm concerned the graphics are unrecognizable and not StarCraft any longer. 12/18/2018 05:55 PMPosted by NettleSPart of the game.Happens to me maybe 1 in 1000 games.Total non-issue.I'd agree with this if only backstabbing was the issue. Throw in leavers, quitters, players who can't commit to playing a game through at all - and in my experience, this rises from 1 in 1000 to about 950 in 1000 (no exaggeration). Backstabbing is just plain wrong: the appropriate action is an IP ban as far as I'm concerned, but it would not solve the problems at the root that cause so much other kinds of damage. Can someone describe how to actually use the custom AIs described at the AI tournament? A little tutorial would be helpful!That said - yeah, it would be great if these could be implemented in-game generally so we could all play with them together.